Brackets for the quarter-finals ?? Who do u think will win DH Winter ? How is it luck to come back from 6-0 and loosing both pistols? The gun rounds dif was huge in favour of Astralis. THey are just the better team. This band. Stew and turok will never win smth signifficant with mibr. G2 were a mess, and Faze r4pped them every time with this line-up, i don't think C9 took more than 9 rounds per map. When the Portuguese colonised your country, your ppl were still living in trees. If i would be locked in a room with Hitler, Bin Laden and you, and i would have a gun with only 2 bullets, i would shoot u twice. Astralis had to choose they're apponent, let's see if they have choosen wiselly. Ana to drop 30 bomb !! 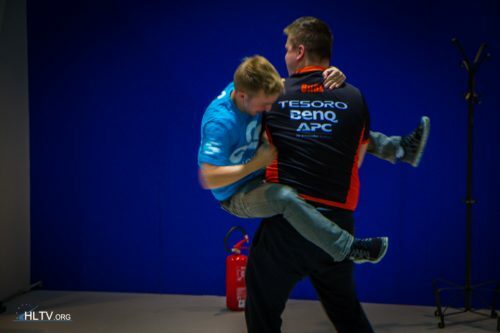 Atleast nip won more majors than the hole na scene combined.